Just Eat, the online takeaway food site, is on the hunt for an agency to handle its creative account. Ben Carter, who joined as the UK marketing director in January, is leading the review and RFPs have been issued. Red Brick Road, which picked up the business in 2014 after a competitive pitch, is not repitching. The agency created the "mini-fist-pump" ads in 2014, as well as the current campaign in which people break into song when asked if they fancy a takeaway. 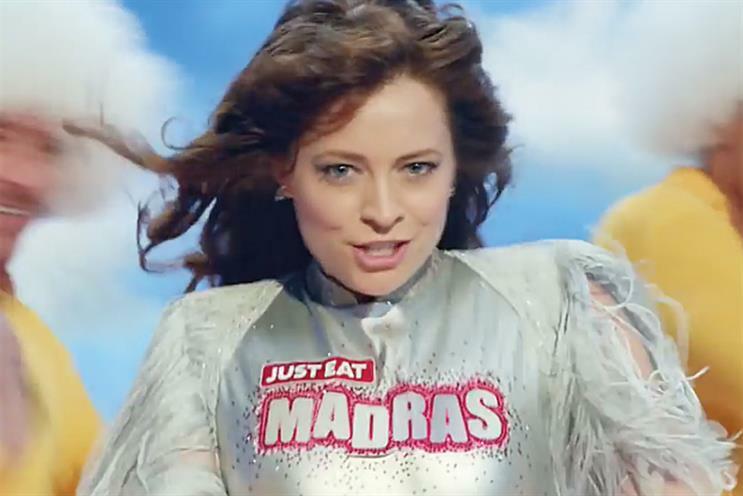 The ads feature famous songs but with the lyrics replaced by the name of a takeaway dish, such as "I need a balti" for Holding Out For A Hero by Bonnie Tyler. Just Eat previously worked with VCCP. In March, the brand reported that revenues increased by 48 per cent to £169.6 million last year, as marketing spend rose 37 per cent. M/SIX picked up the £6 million media account in 2015. Havas Media previously held the business for six years. A spokesman for Just Eat confirmed the review and added: "We regularly review our agency relationships as our business evolves. "We have enjoyed a successful partnership with Red Brick Road, who were behind the ‘mini-fist-pump’ campaign, but have issued an RFP as Just Eat moves to the next phase of its development."